You didn’t think Gotham’s Dark Knight would sit back and let Iron Man hog the limelight now, did you? Earlier this morning, Hot Toys published a more thorough overview of its Mark XLVII figurine, thereby giving us a closer look at Iron Man’s latest armor as it’ll appear in Spider-Man: Homecoming next month. Priced at $354.99, it’s a remarkably detailed collector’s piece that ought to appeal to the Marvel aficionados out there, providing you have the necessary funds. 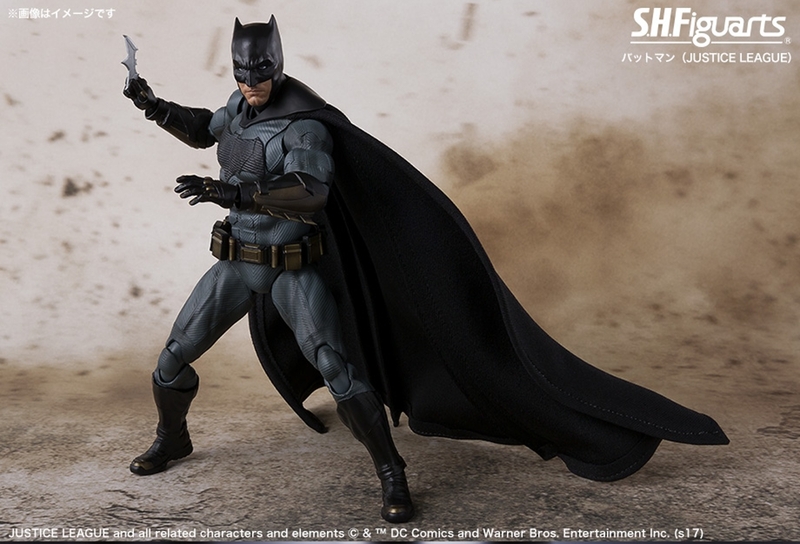 On the DC side of the fence, CBM has now uncovered an S.H. 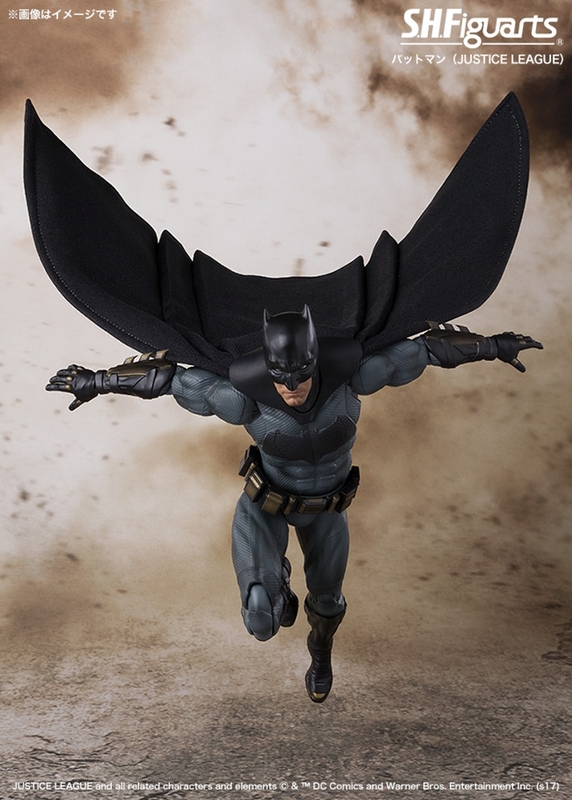 Figuarts Batman action figure that will soon be swooping onto store shelves in anticipation of Justice League‘s release on November 17th. 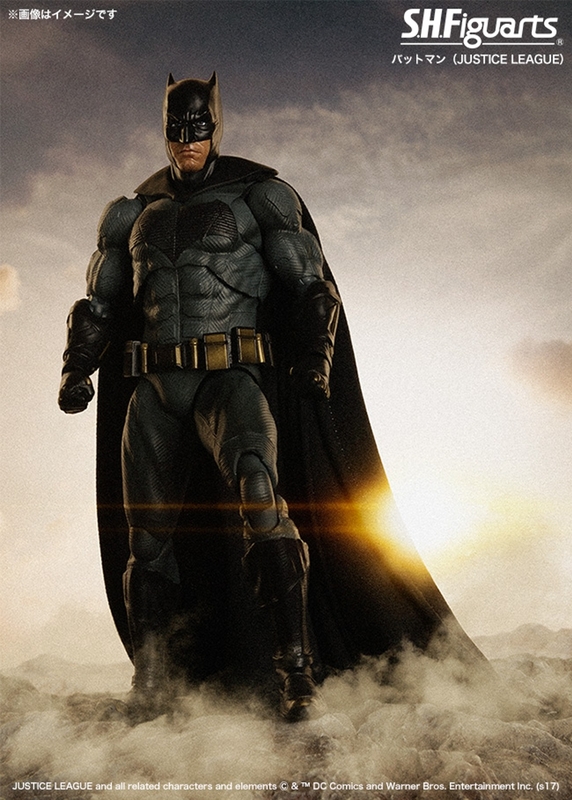 There are three pictures in total, and they offer up what is perhaps our best look at the Caped Crusader’s new duds yet. Ben Affleck’s masked vigilante will need all the help he can get, too, what with the impending arrival of Steppenwolf (Ciaran Hinds) and his subsequent reign of terror. Up until now, Warner Bros. has kept the film’s primary antagonists in the dark, instead choosing to focus on DC’s finest roster of heroes – Henry Cavill’s Man of Steel included – as they set aside personal quarrels in the face of a common enemy. All signs currently point to Justice League‘s second trailer lighting up Hall H at San Diego Comic-Con next month, so it’s surely only a matter of time before WB begins peeling back the many layers of Zack Snyder and Joss Whedon’s mega-budget ensemble pic. Justice League swoops into theatres on November 17th. It’ll set the stage for a new era of DC movies, too, with Aquaman expected to follow suit on December 21st, 2018. Speaking of which, it would appear as if director James Wan is ready to double down on the film’s flashback scenes.